Following the devastating arson and fire over the Christmas period 2018, the pre-school is still open as usual, but within restricted facilities and is temporarily using facilities in the primary school. A temporary entrance is at the rear of the pre-school building, whilst building repairs are expedited on the main entrance and the rest of the building over the coming months. For any changes to scheduled availability please look at the pre-school web site www.stpauls-pre-school.co.uk . There will be additional expenditure to re-equip th e pre-school, only some of which will be covered by insurance. Contributions of toys have been gratefully received, but of course more are welcome. A Go Fund Me page for anyone wishing to make a donation to support the pre-school is at www.gofundme.com/st-paul039s-pre-school. Please could our parish family continue to remember the staff and pupils in prayer over the coming weeks. 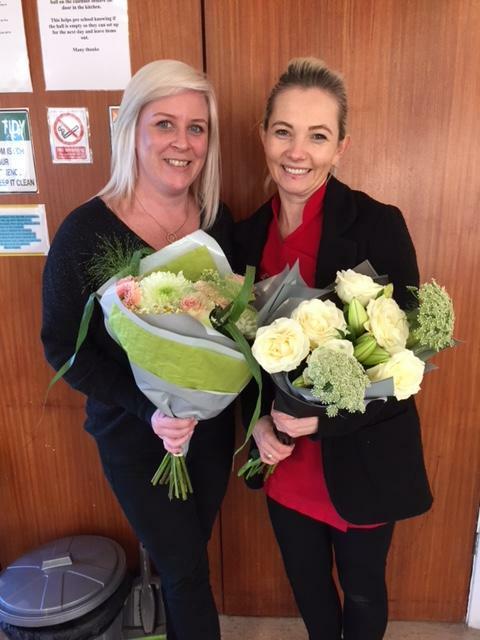 The parish is very grateful for the support and help given to the pre-school team since the fire over the Christmas holiday break, in particular the exceptional out of hours effort put in by the senior managers at the school. Our pre-school welcomes all children aged from 2 years 6 months to 5 years. It is situated in the school grounds in Marley Road and is open from 9 a.m. to 3 p.m. Monday to Friday during term time. The pre-school follows the Early Years Foundation Stage and has been inspected by OFSTED as an outstanding provider.